Nature has had more to do with the evolution of the Old Course than any golf course architect has and this is a contributing factor to why it is rather quirky in its routing and layout especially with the 7 double (shared) greens. Many first time visitors, new to the ways of the Old Course, can find it impossibly infuriating, downright annoying and over-rated! The legendary American amateur golfer Bobby Jones regarded it so when he first played it in 1921, as he states in his book On Golf..."I considered St Andrews among the very worst courses I had ever seen...while certain the course was easy, I simply could not make a good score...yet I did begin to think a little when a course so unprepossessing forced me to take 43 to the turn and finally goaded me into the disgraceful act of picking up my ball after taking a pair of sixes at the 10th and 11th." Bobby Jones made his peace with the Old Course on his return to St Andrews for the Walker Cup matches in 1926, then the following year when he triumphed in the Open Championship and in winning the British Amateur in 1930 whereupon his seduction by the Old Lady was complete. 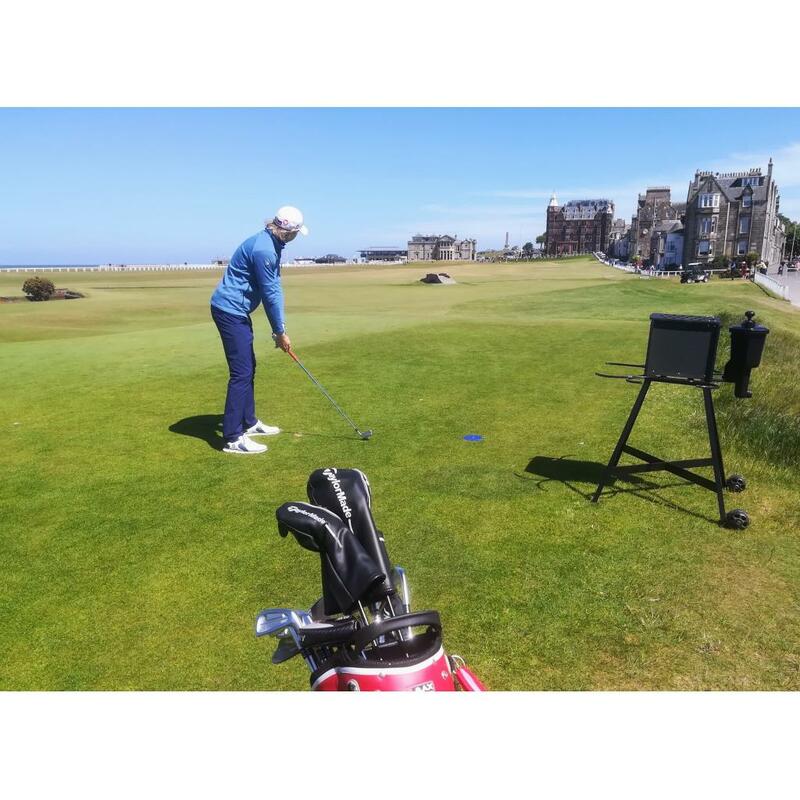 He later reflected in a letter to Henry Longhurst, the famous English golf writer and commentator "If I had ever been set down in one place and told I was to play there, and no where else, for the rest of my life, I should have chosen the Old Course." All real enthusiastic golfers wish to play the Old Course St Andrews at least once, pitting their own modest skills over it and enjoy the many iconic moments...the drive from the 1st and 17th tees, walking over the Swilken Bridge and strolling up the 18th fairway to the beuatiful 18th green in front of the R&A Clubhouse with a scattering of spectators looking on. The golfer knows that whatever score the round has produced they will have completed a memorable round as the final putt drops in the hole. Old Tom Morris laid out the New Course in 1895 adjacent to the Old Course St Andrews. 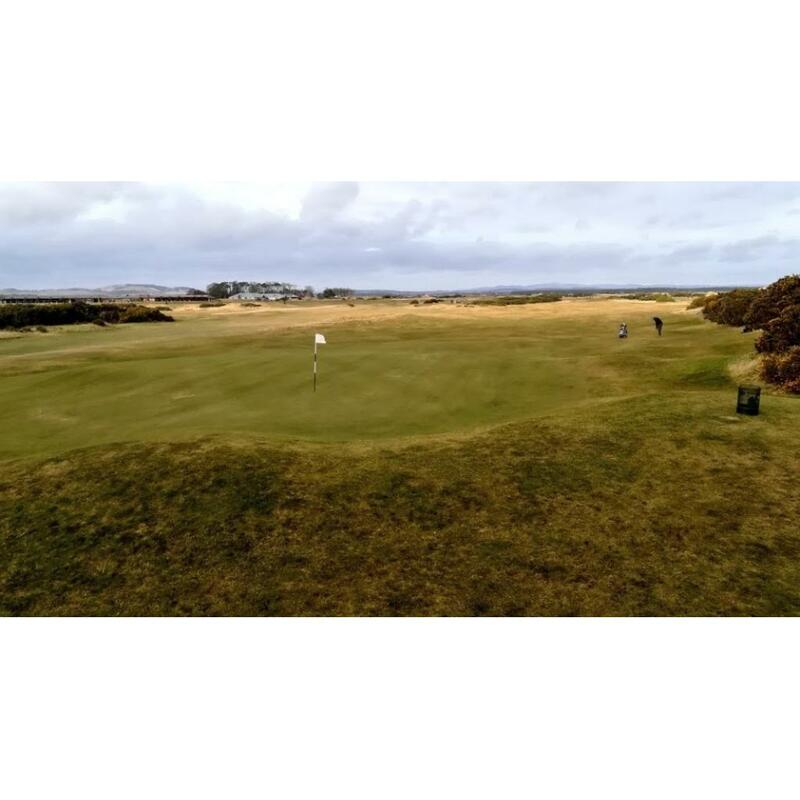 The first 5 holes run parallel to the Old Course as it follows the Scottish links golf tradition of going all the way out to the furthest point possible, in this case it is the waters edge of the Eden Estuary and the extremely testing 225 yard Par 3 9th. 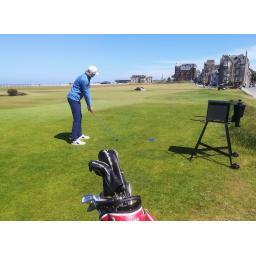 The course then turns around and has you play back to the historic skyline of St Andrews and a demanding finish. Little has changed since being constructed and the townspeople of St Andrews would dearly like it to remain that way, intact, as a testiment to Old Tom Morris. It is generally recogized that you have to be a 'wee bit straighter' on the New Course compared to the Old due to tighter fairways that are lined with the ever present gorse bush and grasping heather. 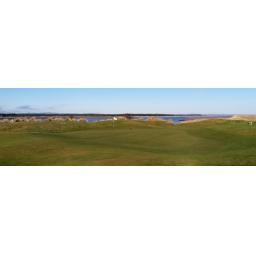 Consistently used for top flight competitions it is a truly wonderful golf course. 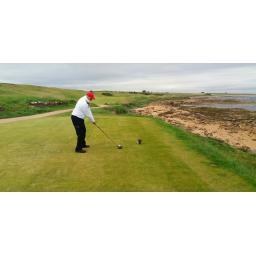 Carnoustie is a fair and true test of links golf and similar to all the great Open Championship courses the weather plays a significent factor and when the wind decides to blow it can be unforgiving. The rough can be penal, especially in an Open year, added to which you have the two streams 'Jockies Burn' and 'Barry Burn' that meander their way through the golf course causing much upset. in the final round and finished 2 shots ahead of Justin Rose, Rory McIlroy and Kevin Kisner. 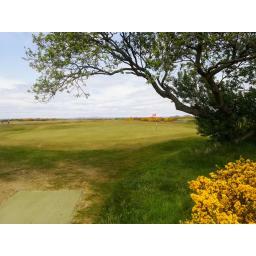 This is the home of the famous Crail Golfing Society which was founded in 1786 making it the 7th oldest golf club in the world. The ubiquitos Old Tom Morris laid out the present golf course at Balcomie in 1895 and in 1899, 9 holes at a time. 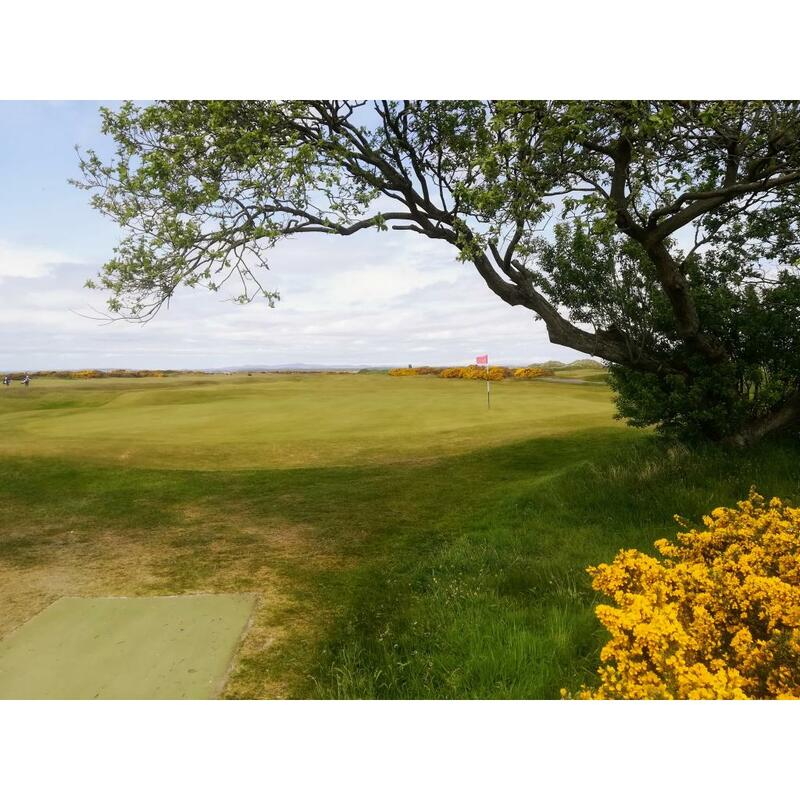 At 5,922 yards it may not be long for a modern day golf course but it offers spectacular views of the rugged coastline from every hole, short simple walks to the next tee from the green, and will certainly test your shotmaking if a wee breeze blows off the North Sea. Remember it is an Old Tom Morris design and that brings in his hallmarks of well placed bunkers, plenty of them, and fantastic rolling greens. 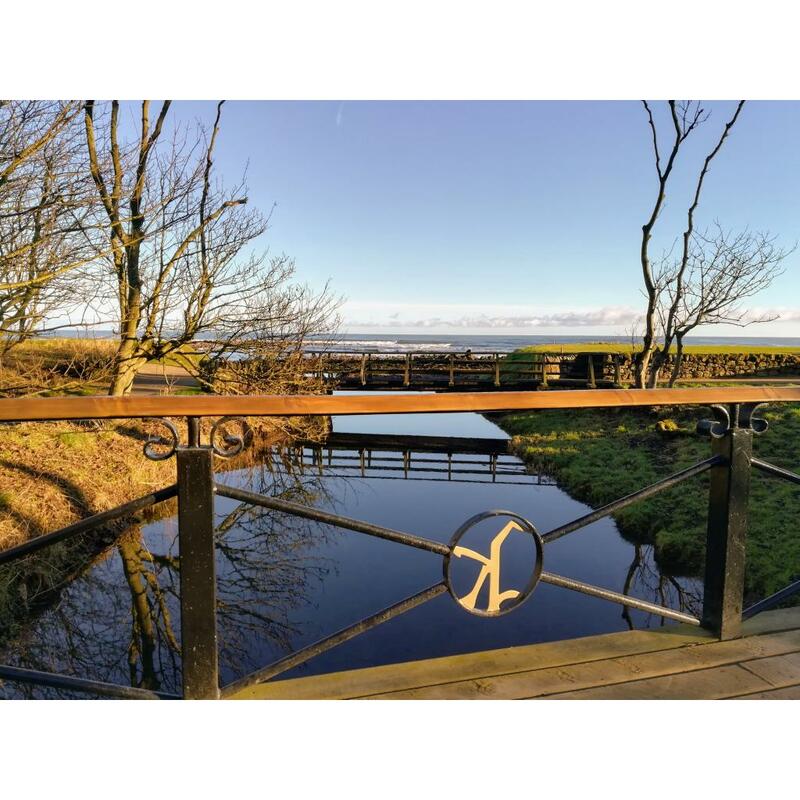 Just down the coast from Crail and seven miles from St. Andrews, Kingsbarns was designed in 2000 by the architect Kyle Phillips and he has created 18 holes, all within sight of the sea, that at times can take the breath away. Remember to have an extra roll of film in the bag! The Starter, will guide you as to which tee position will be suitable for your game from a choice of four. The Medal (white) has the course at 6,652 yards, par 72, and this will certainly be a test of your golf. The shot from the tee is critical on every hole at Kingsbarns as the route to the greens will be a tad more difficult if coming from the 'wrong' side. The massively contoured greens will have you revising club selection and then, once there, a crash course in the art of 'lag-up' putting could prove essential. A super challenge in a great setting. Now established on the European Tour by being one of the three courses used during the Dunhill Links Championship, alongside Carnoustie and St. Andrews Old Course, it has gained some fantastic plaudits from the golfing fraternity and was used as a Final Qualifying course for the Open at St. Andrews Old Course in 2010. 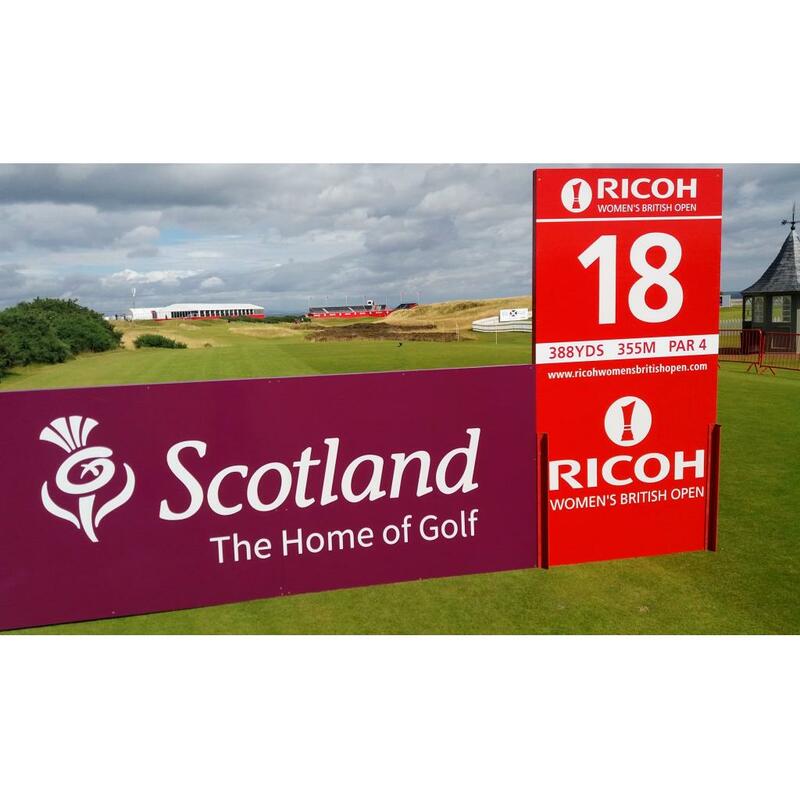 The recent annoncement that Kingsbarns Golf Links will play host to the 2017 Ricoh British Women's Open Championship is only fitting for the hard work done by this marvelous modern links golf course. 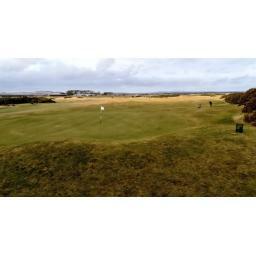 This is a classic links track originally layed out as 12 holes in 1897 it was extended to 18 in 1905. It has been tweeked a couple of times over the years and a current program to toughen up the course is currently taking place during the winter months. 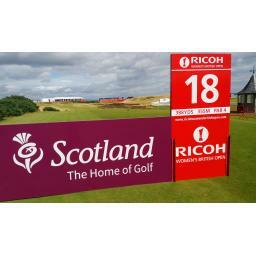 It played host, along with the Old Course in 2004, to the British Amateur Championship. A Par 72 at 6,742 yards it begins with a couple of short Par 4s then you can open up your shoulders and crush the driver on the first of the four Par 5s. Tight fairways with the ubiquitous gorse bushes and greens that have a lot of well positioned bunkering, the Jubilee will live up to it's reputation as the most difficult of the golf links at St. Andrews.